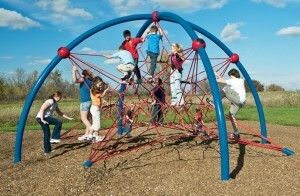 The Eclipse® Net Climber is an exclusive Landscape Structures design. With the tensioning system located in the cast-aluminum ball connectors and only four footers required, installation and maintenance is hassle-free! 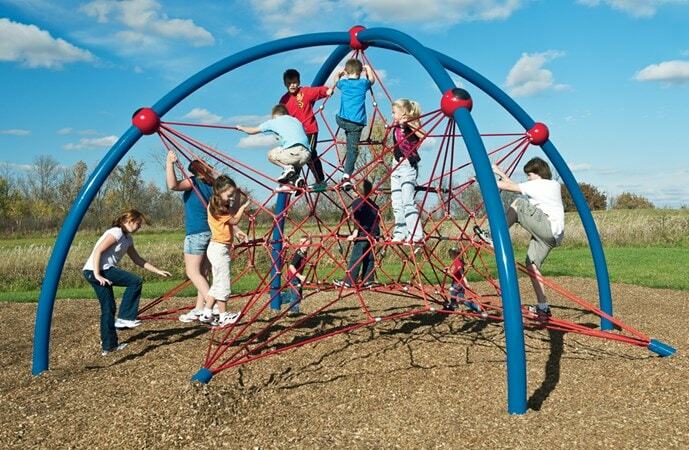 Great addition to any playground. Customize the Eclipse Net by selecting from more than 20 components to create designs with geometric cable and limitless play routes as shown in the Eclipse Net Plus Uniquely Landscape Structures campaign. Click here to learn more about the Eclipse Net Climber. Click here to request more information on the Eclipse Net Climber.